After presenting their challenge and a few key people on January 23rd, the DutchSail make another important step in building their team for the 36th America’s Cup in 2021. 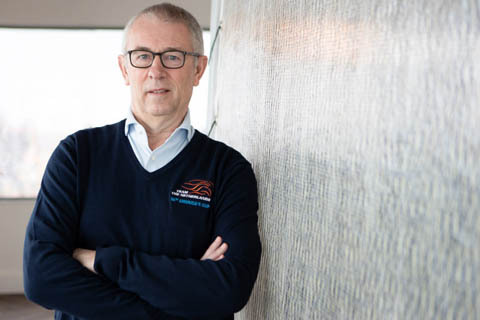 Two-time America’s Cup winner and DutchSail Team Principal Simeon Tienpont announced Dutch businessman Eelco Blok as Managing Director. “Eelco is the right man in the right spot and definitely at the right moment. He was the one and only person on our short list and we see it as a major leap forward in the further development of our campaign.” Said Tienpont. Blok is a well known and experienced businessman, having been the head of 9 different companies and CEO of the Dutch landline and mobile telecommunications company KPN for the last seven years. He is also a keen sailor having run his own competitive Melges 24 campaign for several years. Blok’s appointment will be effective from the 1st March and his first order of business will be to accelerate the process of building a competitive Dutch challenge. Together with Eelco Blok DutchSail Team are: Dirk Kramers- who has been involved in 11 America’s Cup campaigns of which many were cup-winning- as Lead Designer, Peter van Niekerk - two times Olympian and two times America’s Cup winner with Team Alinghi - as Team Manager and Carolijn Brouwer - two times World Sailor of the Year, three times Olympian and winner of the last Volvo Ocean Race with DongFeng Race Team - as helm of the Dutch AC75.